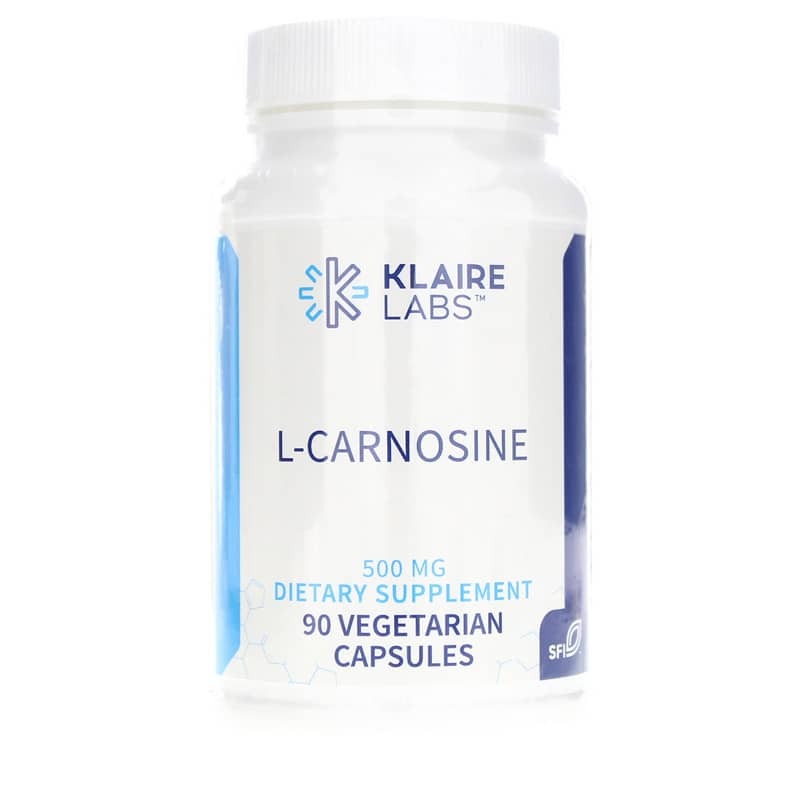 Klaire Labs L-Carnosine 500 mg is a dietary supplement that may help your body avoid tissue damage from free radicals and protein glycation. Produced through the chemical combination of amino acids beta-alanine and histidine, l-carnosine may help support healthy cell function. It may do this by reducing the risk of free radical damage and inhibiting protein glycation, a principal cause of accelerated aging of brain, skin, and other body tissues. Free radicals may make your body's cells less stable, aging your body. And glycation happens when sugars are eaten and the glucose enters your bloodstream. These sugars bind with proteins and form a new molecule, advanced glycation end products, or AGEs. As these AGEs multiply, the may affect collagen and elastin, the compounds responsible for keeping our skin firm and elastic. This may result in sagging, wrinkled skin. 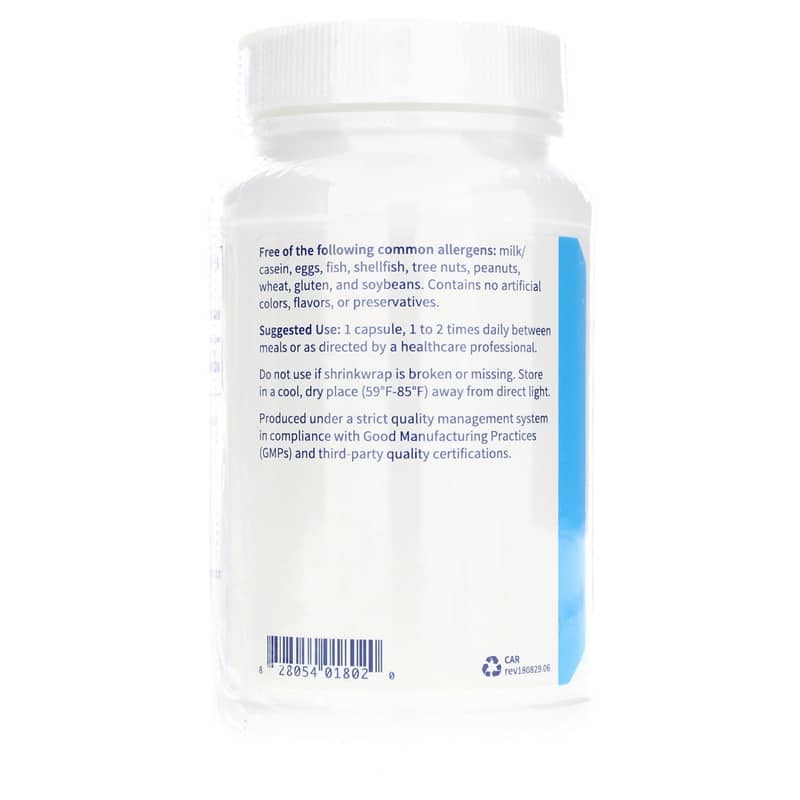 Other Ingredients: Vegetarian capsule (hydroxypropyl methylcellulose, water), microcrystalline cellulose, silicon dioxide, and magnesium stearate. 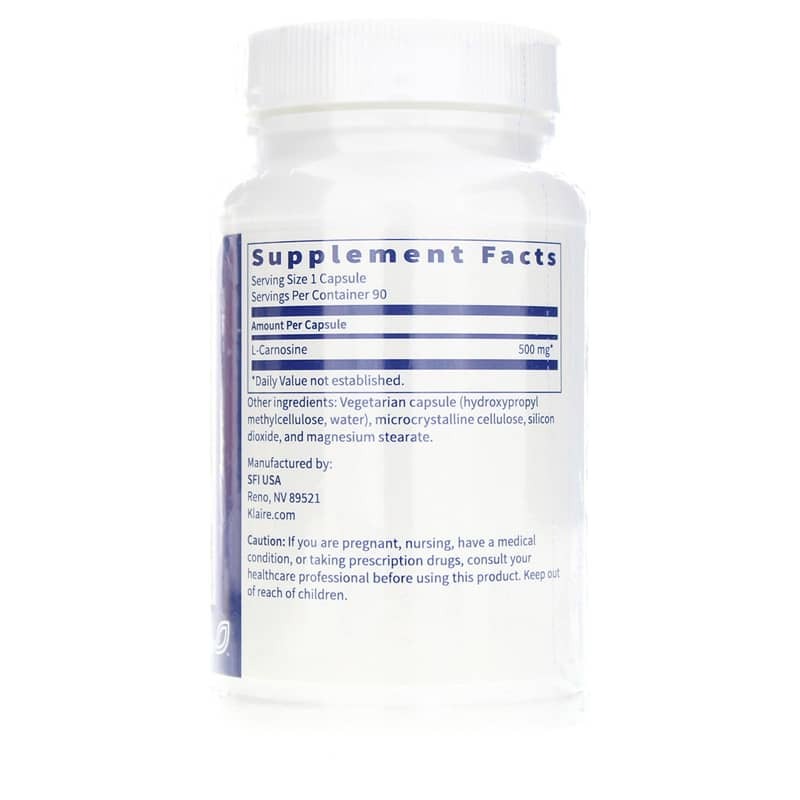 Adults: 1 capsule, 1 to 2 times daily between meals or as recommended by a healthcare professional.